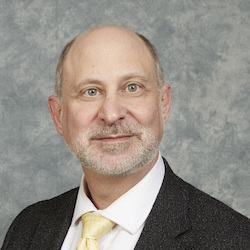 Rabbi Glenn Jacob D.D. is the executive director of the New York chapter of Interfaith Power & Light, an organization dedicated to bringing together faith and climate science to safeguard the Earth. He organizes across New York State and lobbies in both Albany and Washington D.C. He is also Jewish Student Union Director at the Interfaith Center at Adelphi University. Before coming to Adelphi University, he served synagogues from the Deep South to Long Island for over 25 years. In the Deep South, Rabbi Jacob was a civil rights advocate on issues of church and state, reproductive rights, hate group monitoring with the Southern Poverty Law Center, and funding for public education. In Philadelphia Rabbi Jacob was the founding chair of the Interfaith Gathering of Lower Bucks County, building relations between houses of worship in an aging suburb with fresh waves of immigration. He is also an accomplished storyteller and a presenter at national conferences on Jewish Education. He presented “God in the Public Square” at TEDx at Adelphi in 2016. Rabbi Jacob is a graduate of Washington University in St. Louis with a degree in philosophy. He received a Master’s Degree in Hebrew Letters, Rabbinic Ordination, and later a Doctor of Divinity from Hebrew Union College in Cincinnati.